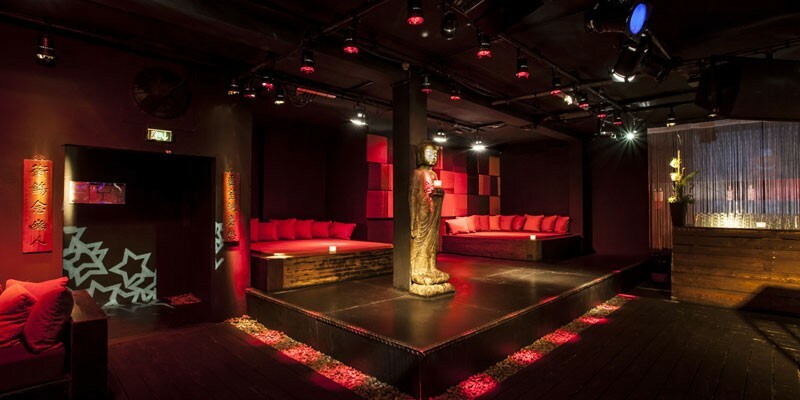 According to our philiosophy, a unique event needs a unique location. And this isn’t just about finding a room with enough space to fit in the number of guests. 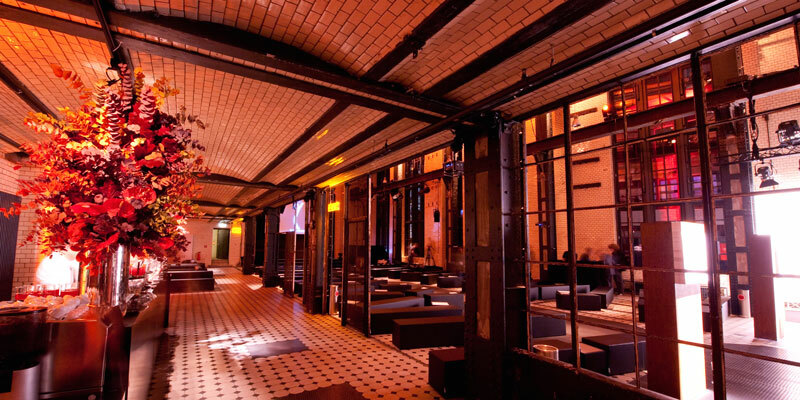 It is about much more – and Berlin has plenty to offer! From concert halls, sports stadiums and a huge fairground to cozy bars and quiet lodges; designed, built and embellished by the old masters or famous contemporary designers and architects. 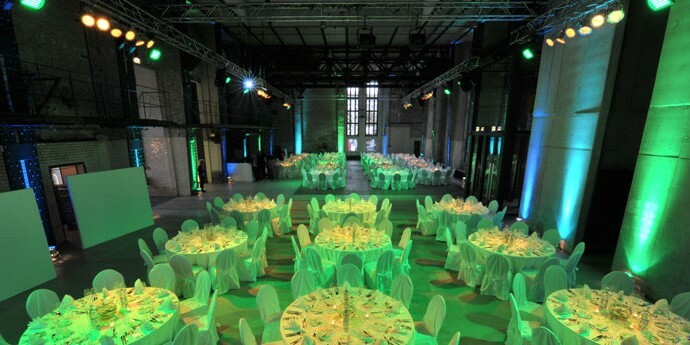 The ewerk Berlin is an innoperative electricity plant, built in the 19th century and located in former East Berlin, near the vibrant Potsdamer Platz square. The building complex consits of two 600 sqm production sheds, linked by a sheltered inner courtyard. The lovely restored “Hall C“ captivates with its warm atmosphere, whereas the “Hall F“ impresses with its rough industrial charm and a great spatial offer. 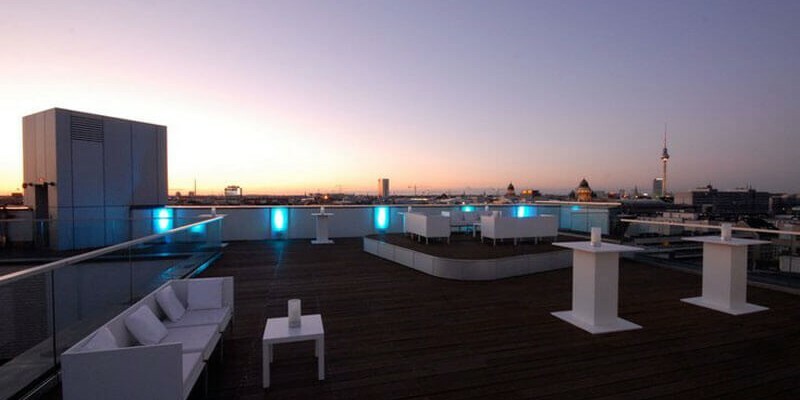 Another highlight is the “Skylounge“ with a 260 sqm event space on the 7th and 8th floor and a 400 sqm rooftop terrace, that offers a fantastic 360° view of Berlin. 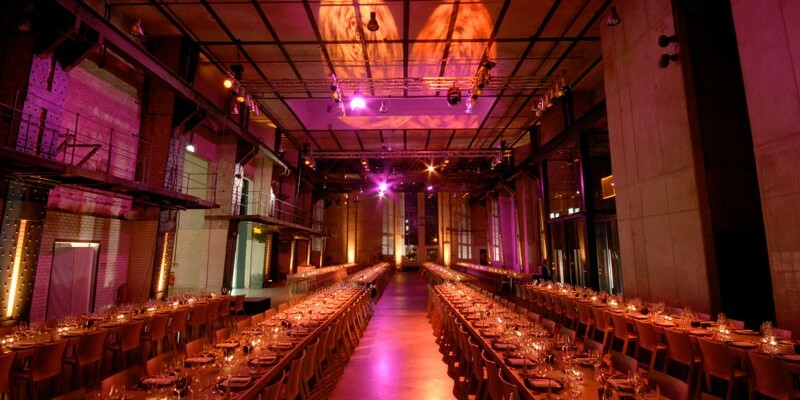 Definitely a location for events with the highest functional and aesthetic demands! Looking through the large panorama windows on the 10th floor of the Eden building, you can see the blinking city lights of Germany’s busy capital. But up here – the clocks tick differently. 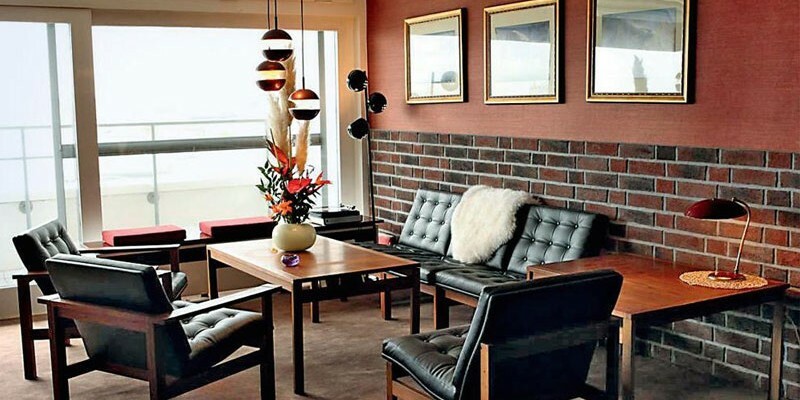 Striding through the old wooden doors and passing by the cloakroom, you find yourself overwhelmed by the irresistible 60’s charme of the original interior decoration, from a time, when travelling by plane was reserved only for the wealthiest people on the planet. Enjoy your meetings in the 42 sqm conference room or at the fireplace in the 22 sqm séparée. Or simply relax at the Pan Am Bar in the lounge and lean back into the comfortable arm chairs with a dry Martini in your hand. 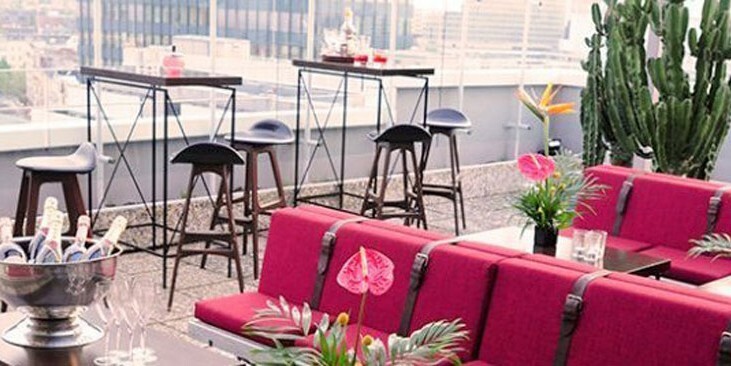 Also the wonderful panorama terrace, which is the perfect place for a summery cocktail reception or a barbeque, invites to stay. 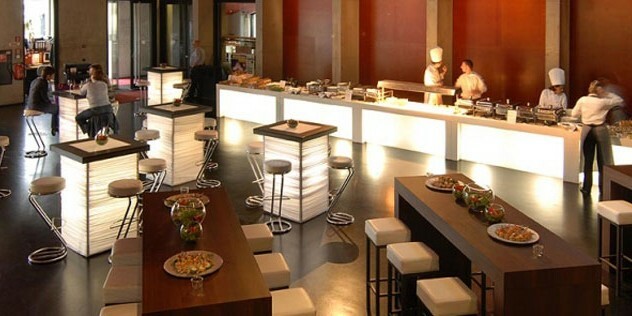 The Spindler & Klatt, located directly at the Spree riverside in the trendy district “Kreuzberg“, is way more than just a hip nightclub and a stylish restaurant: It is a whole new gastronomy concept, which combines sophisticated interior design, impressive light and sound conception, artistic performances and the possibly loveliest exterior terraces in Berlin. 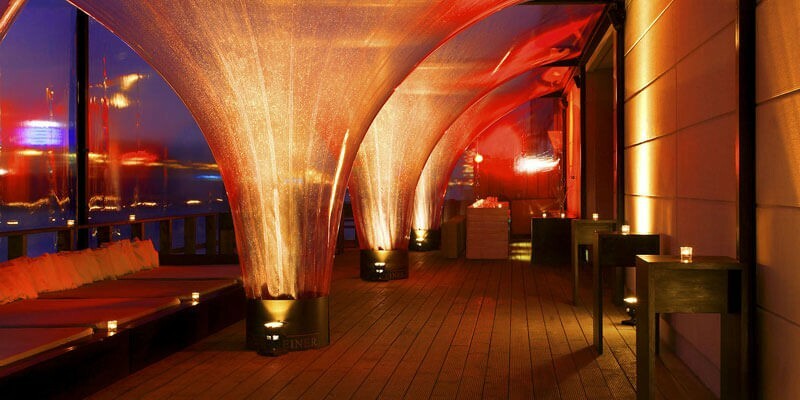 The location includes the club and restaurant area, a separated lounge is located on the terrace above them. Furthermore there are two more outer terraces. 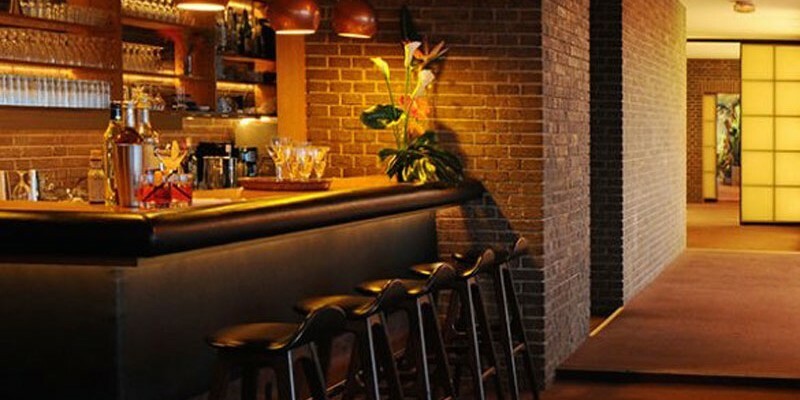 The interior design is characterized by dark lumbers and seating accomodations in warm colors. 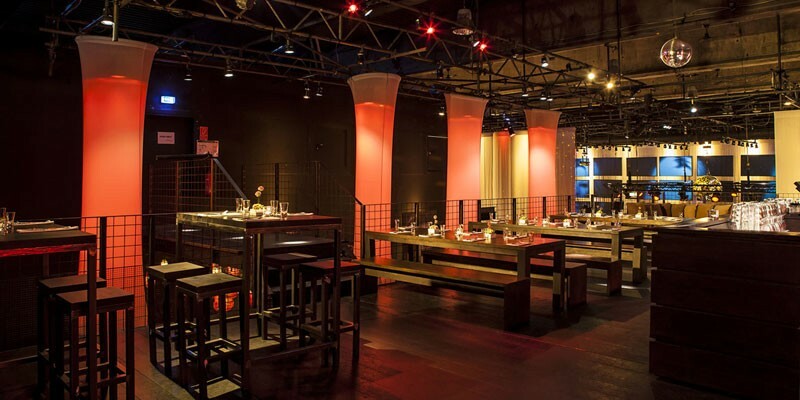 All event spaces can be used completely independently, which makes the Spindler & Klatt the perfect location for any sort of occasion. 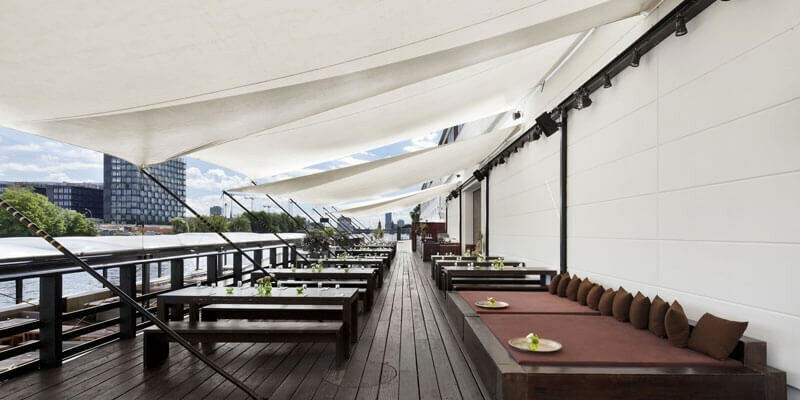 Another highlight is the “Ponton“, a river boat, which lies at anchor in front of the terrace. 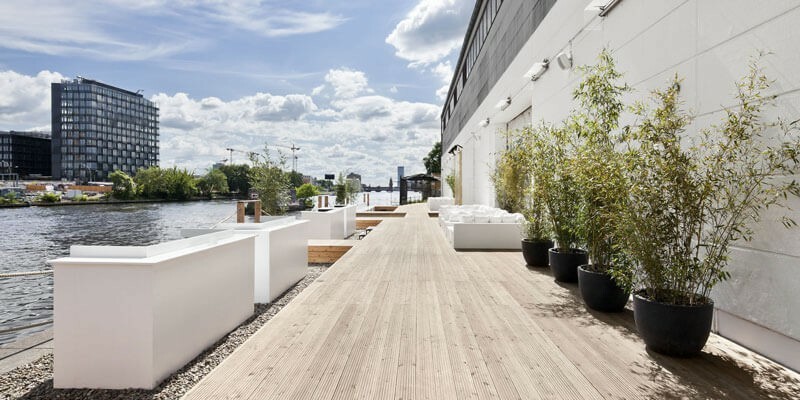 Sitting in the “Ponton“, you have a beautiful view over the Spree river and the opposite riverbank. 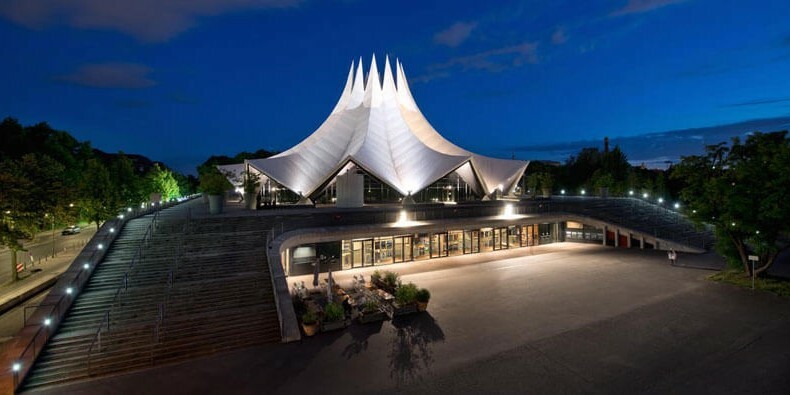 The Tempodrom is one of Berlin’s most remarkable locations and therefore highly sought-after by many famous international singers, perfomers, comedians, orchestras and many other institutions. Boxing-, MMA fights and other sports competitions have been staged here, too. 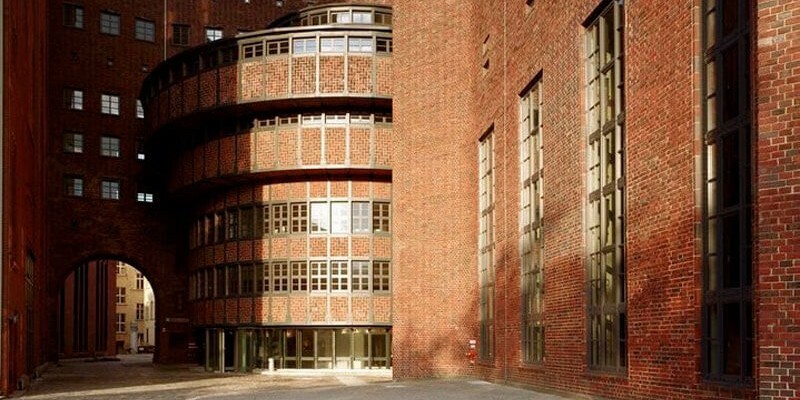 But above all events taking place in this location, the architecture of the building, designed by the famous “gmp – Gerkan, Mark und Partner“ architectural office, is a highlight on its own. 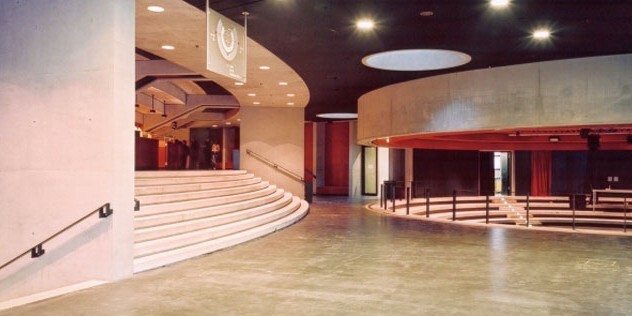 The complex consits of two independent “Arenas“, both having an own lobby and foyer. The “Große Arena“ is the bigger one. 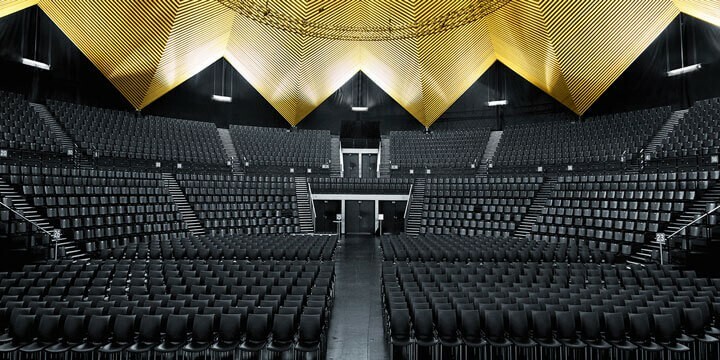 As required, state-of-the-art technology and moveable room elements can transform the “Große Arena“ from an intimate galadinner venue into a representative ballroom for up to 1000 guests. 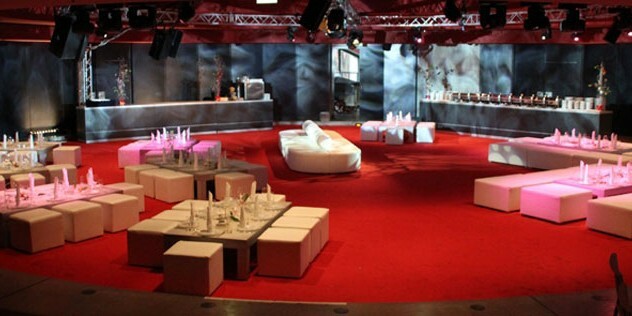 If the event is ment to be more convivial, the structurally identical “Kleine Arena“, the smaller one of both “Arenas“, will do a great job for a group of up to 400 guests, too.